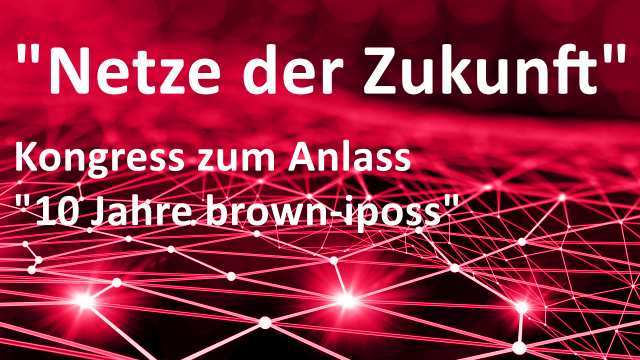 On the occasion of its 10th anniversary brown-iposs has run on February 11th and 12th, 2016 at BaseCamp the congress "Networks of the Future". Areas of specialization were the integrated indoor coverage for mobile Internet and machine-to-machine communication, M2M in short or IoT (Internet of Things). In addition to subject content was also celebrated diligently, with food and drink, and with the "Fat Fishes" (Dicken Fische). Alternativ kann das Video auch bei Vimeo (auch in HD) angesehen werden: https://vimeo.com/155146427. Video by Spectrafilm. Also in HD at Vimeo. On the first day of the congress was - after greetings by the First Mayor of Bonn, Mr Reinhard Limbach, and the keynote of Dr. Stefan Bungart, T-Systems International, the topic "Integrated indoor coverage" - with WLAN, LTE, with Small Cells has been in focus. In six further presentations of this topic has been discussed in depth and illuminated. Dr. Bernd SchrÃ¶der, brown-iposs, "Mobile Internet -. A challenge for (semi-) public buildings Why all networks and frequencies must be used"
, "The Mobile Internet Service Provider as a new link between building and network operators"
Prof.Dr. Thomas Bauschert, TU Chemnitz, "Interworking of WLAN and LTE - more than just Hotspot 2.0"
Dr. Hagen Woesner, BISDN, "How to bring SDN and NFV value in distributed wireless networks?" , "Planning and (self-)organisation of integrated indoor networks"
Georgios Karachos, Qualigon, "Overarching quality monitoring is the key to satisfied customers and business partners"
Focus of the second day of the congress were the topics "Industrial Internet" and the "Internet of Things". 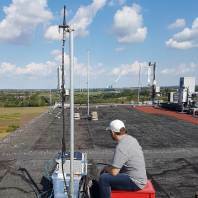 The requirements of "IoT", especially in industrial environments, on network connectivity, but also on data processing and security are clearly distinguished from those of the mobile Internet. Specifically reliability, complexity and efficiency are of particular importance. This was presented in four articles. Dr. Lutz Rauchhaupt, Institute for Automation and Communication, "Reliable wireless communication for the industry - what does that mean and how can it be assessed in concrete terms?" Dr. Bernd SchrÃ¶der, brown-iposs, "Low Power, long range - radio systems (not only) for smart metering"
Markus Wingen, Sierra Wireless, "Business transformation through IoT/M2M"
Dr. Martin Peters, com2m GmbH, "Digital transformation in the SME sector"